HEY YOU GUYS! 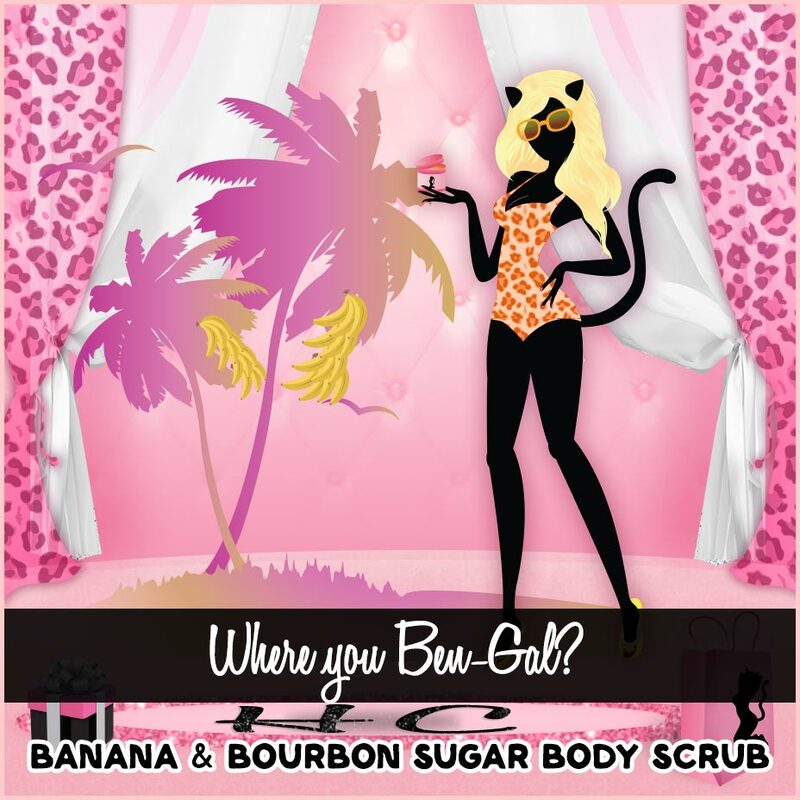 Cat got your scrub? You bet we do! 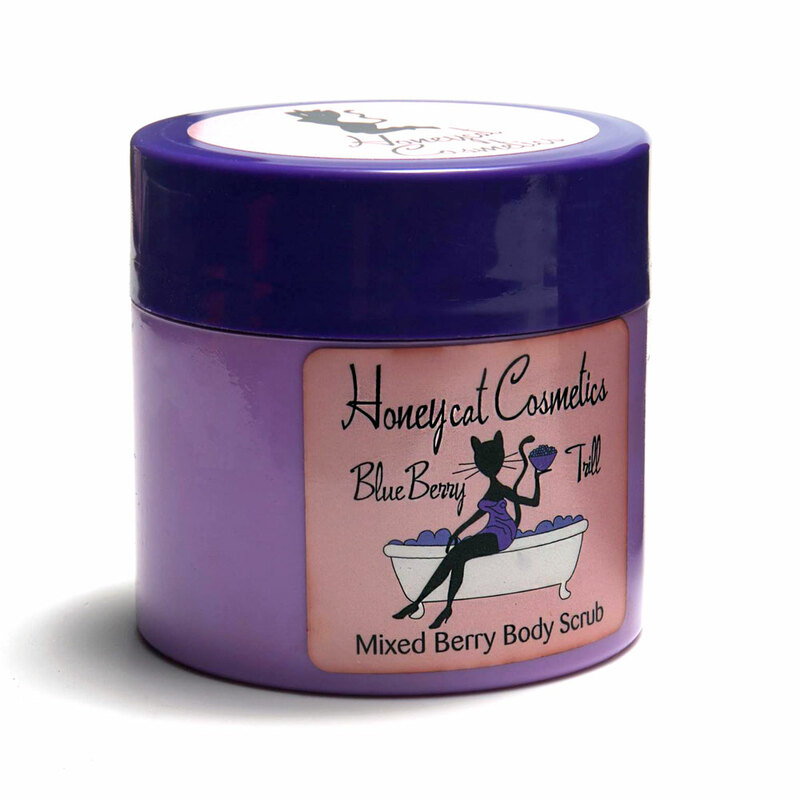 Sun ripened blueberries, with a hint of juicy raspberries and cream makes this a scrub you just gotta have! 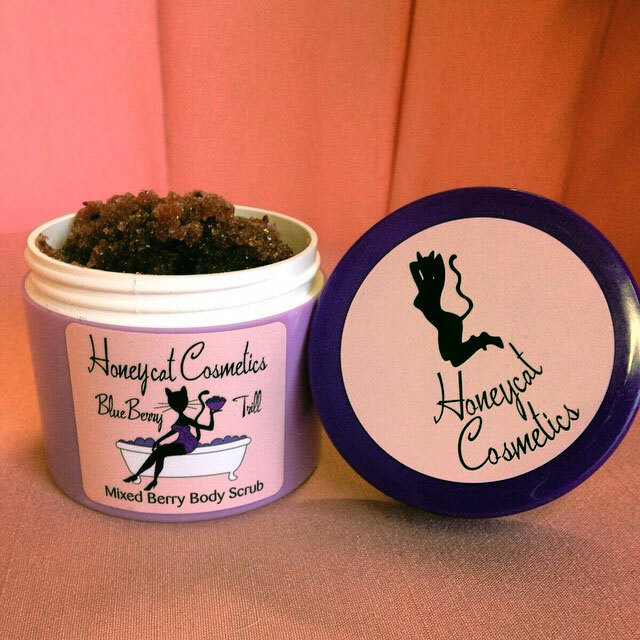 We’ve added to the mix Black Raspberry seed oil, Coconut oil, and organic raspberry fruit seeds for added exfoliation. Guaranteed to take the hiss out of any feral feline! We promise it’s berry, berry good! 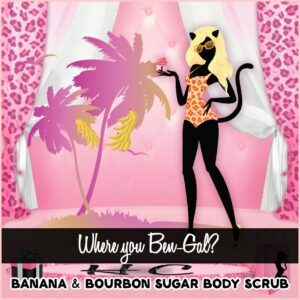 Mmmm, ripe, sweet bananas, cream and a dash of bourbon! 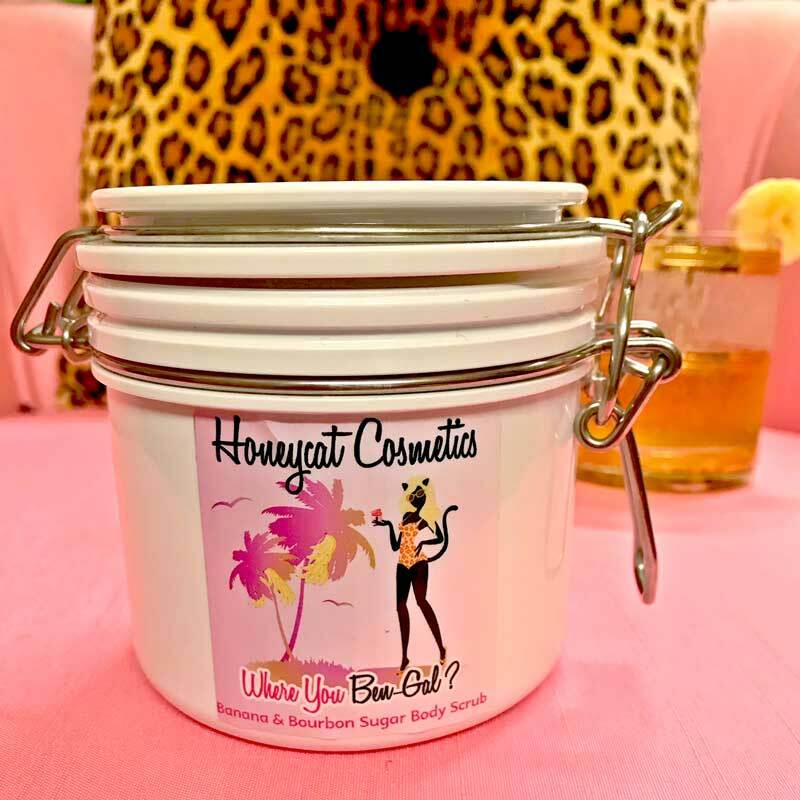 A tropical treat for your skin! Add to this, mango butter, banana butter, and coconut oil…. GURL, you’ll be going bananas over this jar of deliciousness! Rub it on and shower off nope, no moisturizer needed. Here’s something worth purring about Darlings!